This following case study highlight’s DropsA’s Distributed Zone Chain Conveyor Lubrication System with Thyssen Krupp Escalator Chains as the subject. homogenous mixture in which one liquid is dispersed as droplets throughout a second immiscible liquid”. from water since it describes the mathematical separation relationship. 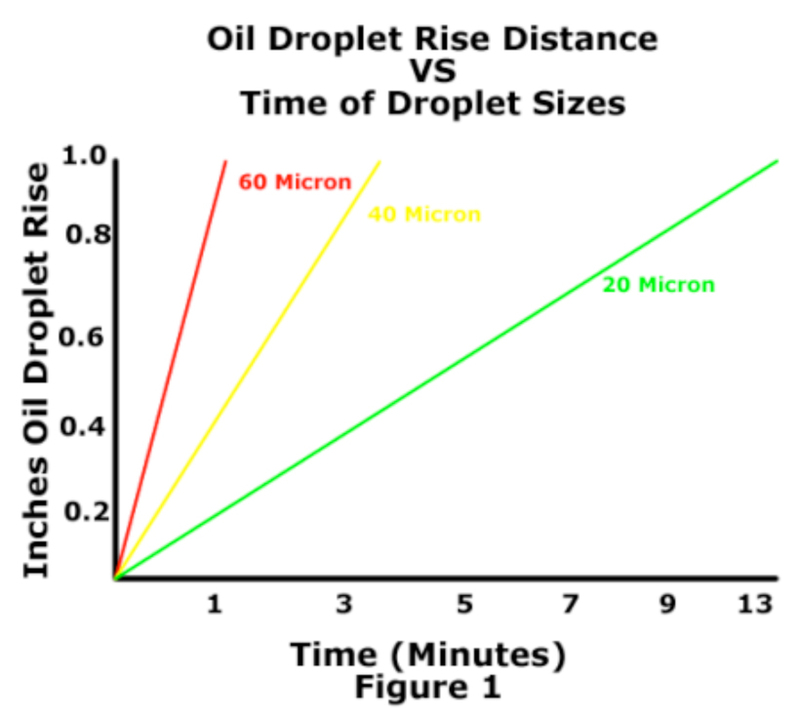 demonstrates the rise distance versus time for various oil droplets sizes. the outlet. See figure 2.
for various oil droplets sizes. 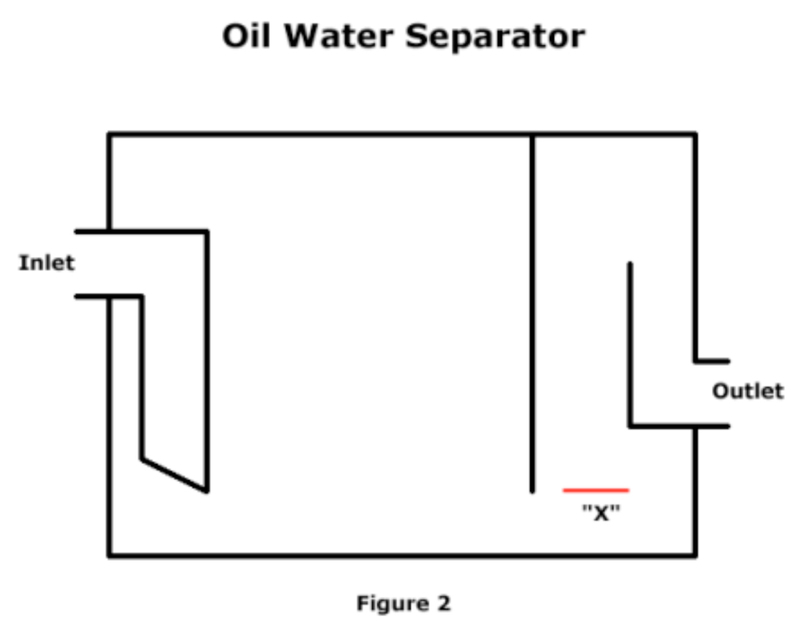 having an inlet/outlet and an oil dam near the outlet. See figure 2.
different pump designs and gravity flow. The next concept is the Standard Deviation (SD). The standard deviation has to do with the oil droplet distribution by volume. Once one knows the mean oil droplet size, due to the delivery method, one can determine the standard deviation. The SD determines how great the populations of oil droplets by volume are from the mean droplet size. This can be demonstrated using a bell shape curve, see figure 3 and 4. As we can see from figures 3 and 4, the closer the bell curve is to the mean the standard deviation approaches 1. If the standard deviation is 1, then all the oil droplets will be the same size as the mean, which is not logical. The more accurate the influent data used, the more accurate the effluent water quality prediction. 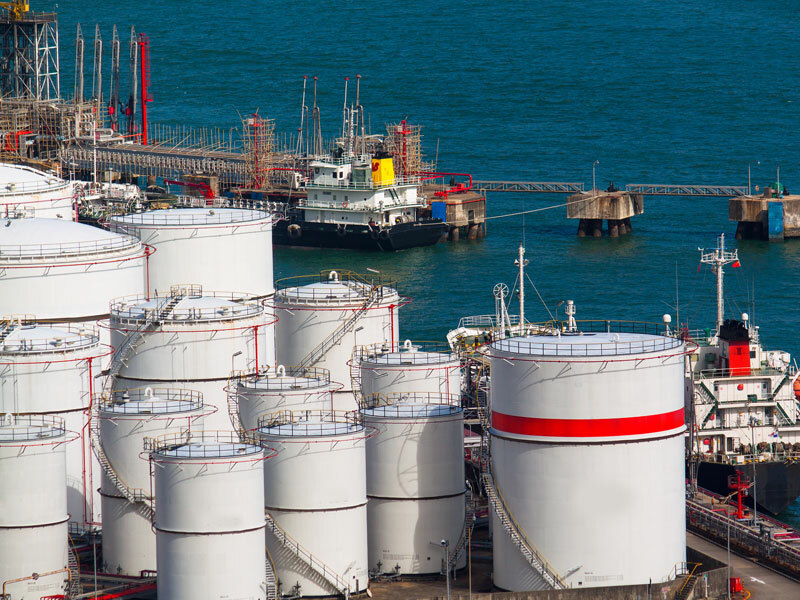 Even if the oily water is emulsified, an EGS should be used as a pre-filter upstream of the final chemical treatment system. If one is hauling waste water, an EGS can remove much of the oil, reducing the hauling cost.